When using cellular communications with a security system, it may be necessary to use a cellular antenna to boost the signal strength. This can prevent the system from losing its cellular signal and fully ensure that it always remains connected to the network. 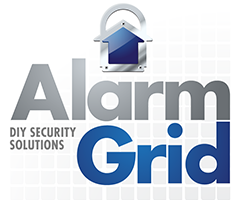 Buy a cellular antenna from Alarm Grid. Cellular antennas are used when a security system connects to the network using cellular communication. In some situations, a user may live in an area where the cellular signal isn’t that strong. If this is the case, it may be possible to use a cellular antenna to improve the cellular signal and make the system less likely to lose its connection. This can be great for users who want the excellent reliability of cellular communication with their security system, without having to worry about a lost or unavailable signal due to a poor connection. Most security experts view cellular communication as the optimal method for connecting a panel to a network. This is because cellular communication is generally more reliable than WIFI connectivity. It is very common for a WIFI signal to go down or become unavailable. If this happens, your security panel would be unable to send critical alerts and notifications to you or a central monitoring station in the event of an emergency. However, cellular communication is very reliable, and it is almost never down. Assuming that the system receives an adequate signal and that everything has been set up properly, a user with a system that uses a cellular connection should never have to worry about an outbound signal being unable to be sent. Modern cellular signals are also quite fast, and they should have no problems handling all of the data that is sent by a security system. Cellular communication is also necessary for connecting a security system to an interactive service, such as Total Connect or Alarm.com. While this can also be done using a WIFI connection for Total Connect, the Alarm.com service will actually require that the system utilize a cellular connection. These services are absolutely necessary for getting the most out of your security system, making a reliable cellular connection that much more important. By using Total Connect or Alarm.com, you will be able to remotely arm and disarm your system, control Z-Wave devices and receive important notifications and alerts about any events that occur on your security system. When purchasing a cellular antenna, there are several factors for you to consider. Perhaps the most important is whether or not a particular antenna is compatible with your security system. For example, some antennas may only work with the Alarm.com service, while others will be geared for use with Total Connect. Another factor is the mounting location of the antenna. Some antennas are designed for strictly indoor used, while others are designed to be placed outside the building to really boost the signal. This will largely determine how much of a signal boost is provided by the antenna. In general, outdoor antennas offer a greater boost in signal. However, they can be more difficult and time-consuming to install, and many security systems will receive perfectly fine benefits from an indoor antenna. Our security experts can discuss your situation with you and help you determine which type of antenna is best for your particular circumstances. How do I find the AID & AID CRC for my GSMV4G, GSMX4G?